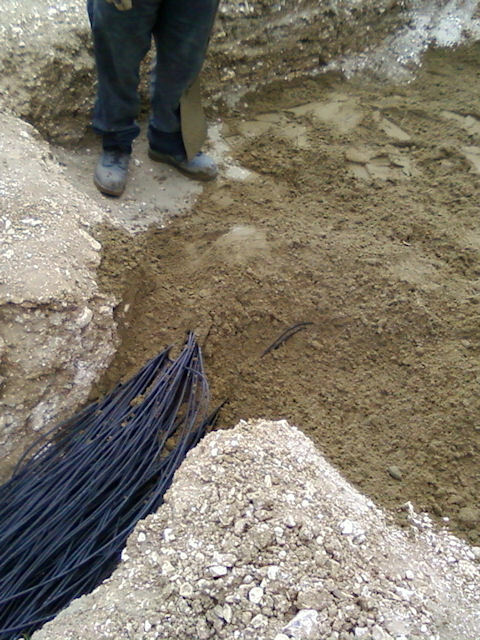 Now that the HBA cables are in place and patched into the RF-container, the HBA cable grave can be filled in. 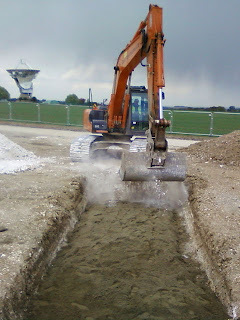 First a thick layer of protective sand is spread across the cables. The crew work the cables gently to ensure that the sand penetrates between all of them. Here is the finished sand cover. This protects the cables against flint and other sharp rock as the spoil is back filled into the grave. With all cables completely covered, the digger moves in to bulk fill with previously excavated material. And that is it! 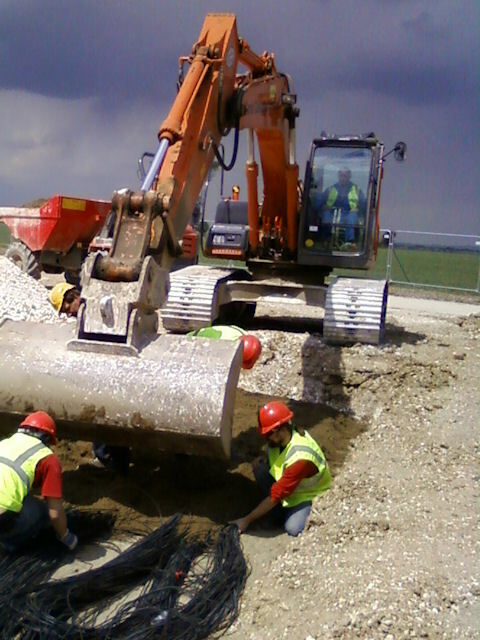 The HBA cables are fully covered and the crew can walk through the area without the risk of falling into the hole or collapsing a trench wall. 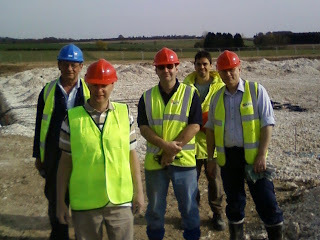 There have been many people involved in the laying of the HBA cables, and here are a just a few of them. 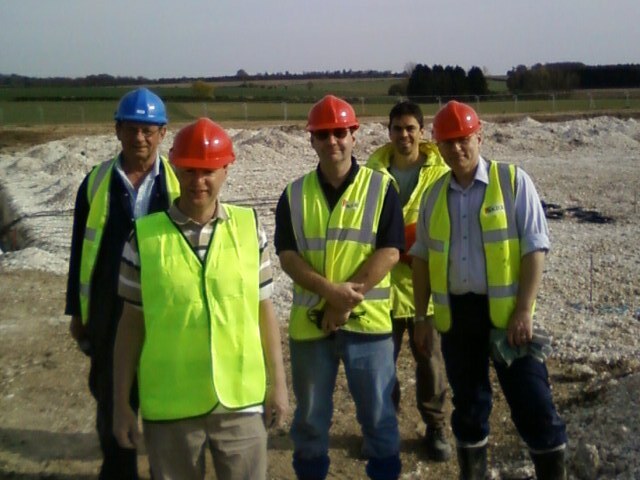 From left to right: Dave King, Jon Eastment, Mike Willis, Alejo Martinez-Sansigre and Harry Smith. To these few, and everyone else involved in this stage of the project: thanks and well done!